The GRM series capacitors from Murata are multilayer ceramic chip capacitors (MLCC) used for general purpose applications. 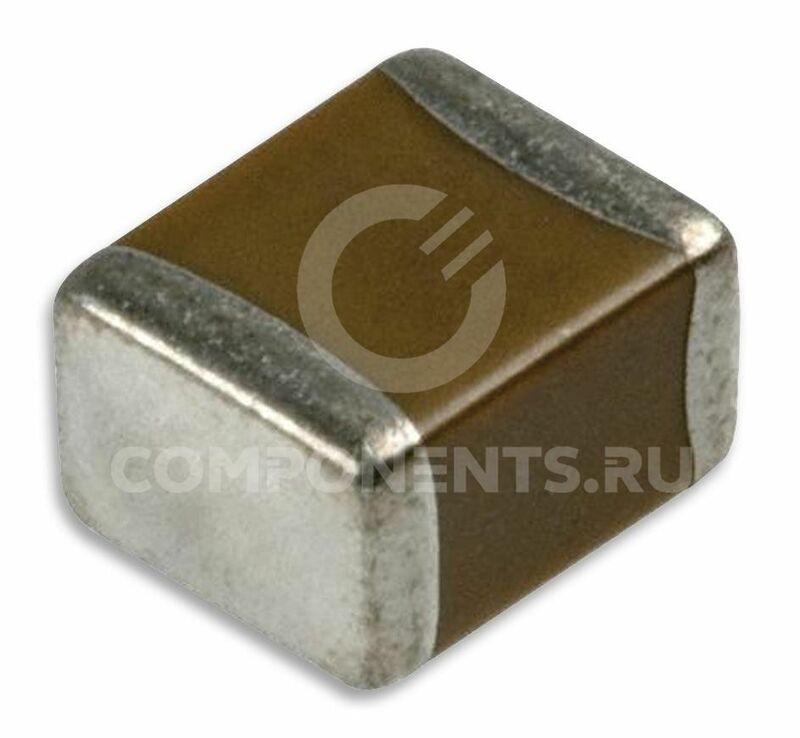 These MLCC capacitors are classified into temperature compensating and high dielectric constant types depending on the change in electrostatic capacitance due to change in temperature. The temperature compensating capacitors feature a small rate of change in electrostatic capacitance as the temperature changes and are used for applications such as filters and high frequency circuit matching. The high dielectric constant capacitors use materials with a high dielectric constant and feature a large electrostatic capacitance. Typical applications are power supply decoupling and smoothing circuits. Вы можете купить GRM219R71C474KA01D от 1 штуки или оптом, работаем по безналичному расчету с юр. лицами. GRM219R71C474KA01D цена и наличие по запросу. Ждем ваших заявок! Цена GRM219R71C474KA01D зависит от объёма заказа, на данный момент стоимость GRM219R71C474KA01D в нашей компании составляет от 8.61 руб. Cрок поставки и конечная цена рассчитывается индивидуально для каждого клиента.